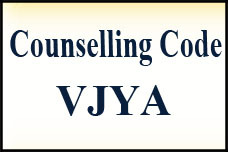 Vijaya Engineering College is very popular in the Khammam district and this is why I have joined the college. I must say that the college lives up to its name for sure. 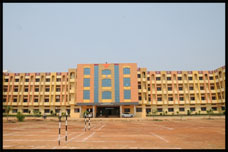 The education is good and the facilities are excellent. 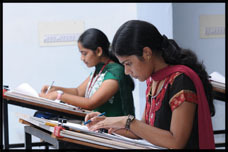 We concentrate on the studies, play well, enjoy and achieve good percentages only because of the excellence of the college. 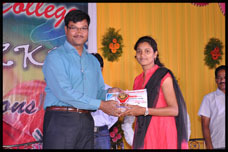 I am an old student of Vijaya and now I am working in a good company due to the support provided by the college. 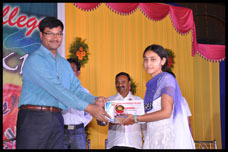 Especially, the career guidance provided in the college has changed my life altogether and I am able to achieve good job right after the graduation. Thank You Vijaya for making my career fruitful. Don’t judge a book by its cover. This proverb is 100% right for the Vijaya Engineering College. Since it is situated in village, I was apprehensive to join my son there initially. There were a number of engineering colleges in the city itself, but when I did my part of research, I had learned that those urban colleges were failing on their promises and playing with the future of the students. 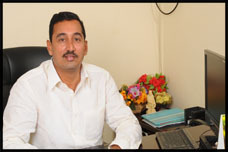 So, at last I had joined my son in Vijaya and that was the best decision in my life till now. I say that because there was a considerable improvement in the academic performance and attitude of my son, which had made him successful in the career, a lot early than what I thought it would be. 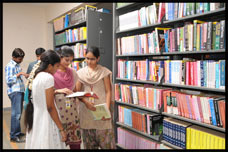 The best part about the college is you are not needed to worry about getting job, since there are many campus selections going on regularly. I was selected by Infosys on my 4th campus drive and I literally felt very happy because I got job in the campus itself. Thank God, I was saved from the stress to find job after the graduation as I see some of my friends who have studied in other colleges are still struggling to get jobs.